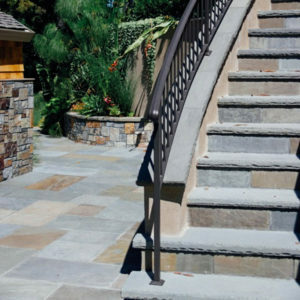 A&S Materials has a custom stone cutting operation on premises in San Rafael. We have an extensive inventory of Bluestone, Flagstone, Limestone and Sandstone in both dimensional and irregular sizes and shapes. We also have slabs, steps and treads to match.